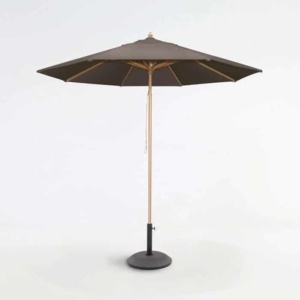 An outdoor umbrella is a must-have for finishing the look and functionality of your outdoor living space and the Mason Round Umbrella Stand with wheels is a fantastic choice for keeping your umbrella in place. 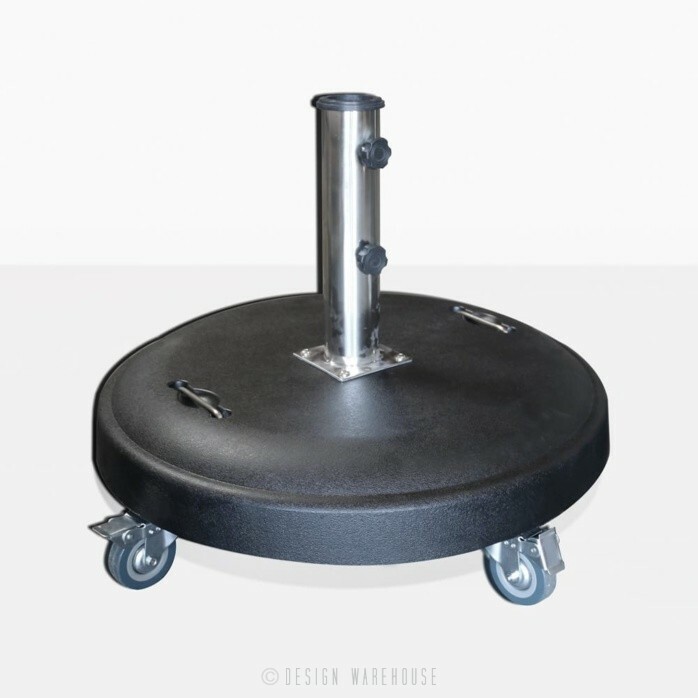 The black concrete, steel hardware, and wheels give it a contemporary look, which is exactly what you want in an umbrella base. 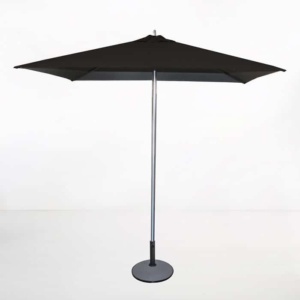 The Mason Umbrella Stand umbrella base is made with (black) concrete to ensure it is heavy enough to hold the umbrella. It has four wheels and two hidden handles; this allows you to roll it to wherever you need shade. Once you have moved it into place you can lock the wheels, put up your umbrella, open the canopy and voilà, you have shade and a cool place to relax! 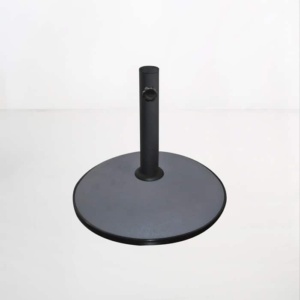 The Mason Stand can hold a pole with a maximum diameter of 5cm. If you have questions about this umbrella stand or about any of Design Warehouse products, don’t hesitate to call or email us today. We are open seven days a week and look forward to helping you create your own outdoor oasis.